What’s better than a free book? How about four free books! Entry is free but we sure hope if you win you’ll rate or review your book for us on Goodreads and/or Amazon! We loooooooooove reviews!! Oh, and don’t forget that Warpworld Vol. 1 is now perma-free for ebook lovers. You don’t even need to win anything. 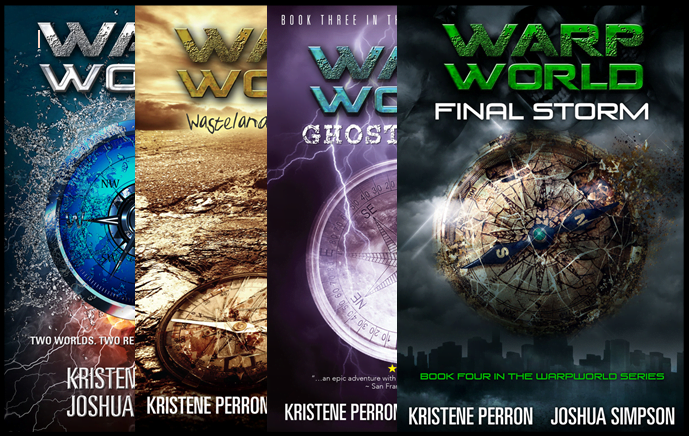 FInal Storm, free science fiction, Ghost World, Goodreads giveaway, Warpworld, Wasteland Renegades, win books.